Treatment of Depression without Medication: Don’t want to feel like you’re being swallowed up any longer? Like you’re being sucked in and are drowning? Are you serious about taking action and getting yourself out of this hole? If you really want to change, then I can help you. While many people may feel sad, down, or moody at times, if you experience these feelings intensely for weeks, months or even years you’re in the right place. Especially if this depression is for no apparent reason. Depression is a serious condition that affects your daily life including your physical, mental and emotional health. 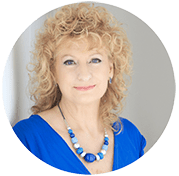 I’m Sandy Hounsell – a specialist in getting rid of my client’s depression for good. I have a proven soul integration technique that identifies the root causes of the depression; and resolves this – forever. I have left many clients feeling a greater sense of peace, joy and happiness to live the life they have always dreamed of. Many feel they can finally move on and don’t experience that darkness depression brings again. My treatment of depression is without medication. If you are unsure where to go next, and would like some expert advice, contact me today, or see below for blogs and useful resources to help. Treatment of depression without medication Gold Coast: Download our free report, or get in touch with Sandy today. Hi Sandy, Hope this email finds you well. I just wanted to let you know that I would like to cancel my appointment for this Thursday please. I feel that I don’t need any further sessions. I can’t thank you enough for everything you have done for me. I was depressed, lost and in a dark place before I came to see you. You have helped me open up so much, become a positive person and have taught me to feel really good about myself and put myself first for a change. I can say that now I wake up in the mornings and look forward to the day ahead. I always feel that a bright light is surrounding me. I have more of a direction in life and am getting out there and chasing the things that I desire to have in my life. I wanted to take the time to express my gratitude for your help since meeting you last year. I am so very grateful to have been guided to you in a desperate time of need. I felt like I was alone in a black hole and I didn’t know who I could turn to. My past was eating me up inside and I didn’t fully understand why. It wasn’t until I met you that my life started to make sense. I started to see why I was feeling the way I was and why I was reacting the way I was. I was also able to see why certain people and situations were brought into my life and to change my view on them and to look through the eyes of love. From the day I spoke to you on the phone until now, I feel like a completely different person. I would go so far as to say I could not stand myself, I wanted to be someone else. Now, I am so grateful for who I am and wouldn’t change a thing.You have shown me the beautiful soul that I am and with your help, I was able to tackle these false beliefs I had grown up with that I wasn’t “good enough” and that I wasn’t “worthy” to feel the complete opposite. I can now happily say that I live a life with gratitude for others and most importantly, for myself. I love who I am, I have unconditional love for myself which is something I thought I could never have. You have also opened me up to my own intuition and have helped me find my own unique psychic abilities so I can help others, just as you helped me. A whole new world has opened up for me and I am forever grateful for the time and the loving attention you gave me during my healings and even outside of them. Not only have I found someone I can always rely on in a time of need and direction, I have also found a friend. Thank you again Sandy for helping me find myself and my spiritual path. Taking the Living with Soul course has been the best decision I have ever made. It changed my view of life forever. For twenty years I have struggled with Depression and Anxiety after the death of my younger sister. I had low self esteem, struggled daily at work and at home and found it hard to form any sort of relationship with anybody. I set an intention before I started the course that this was about me and I was going to take the inner journey and find out who I really am. The course really taught me all that plus more. Half way through I had a breakthrough and let the wall down that I had built so high. My biggest lesson was how to trust and feel safe in the world and that it is ok for me to be me. Sandy is truly inspiring and teaches you how to love yourself, believe in yourself and to trust and feel safe again. I looked forward to our weekly webinars, and loved the meditations, the other ladies in the group and the course layout and the fact that I did not need to leave my house to attend the course and could do it at my own pace. I would recommend this course to anyone suffering daily with negative thoughts and emotions. Sandy taught me to replace these thoughts with positive ones, and to acknowledge and accept events, observe what is going on around me and my biggest lesson was not to judge myself or others. I feel truly blessed to have met an Angel in Sandy Hounsell, her course has changed my view on life, and I can truly say that I live each day moment by moment in the now. It has been more than a year since I met Sandy and every day I am thankful that I did. Thankful that you shared particular knowledge with me that changed my life. Starting with me; I was unknowingly contributing to the unrest, poor health and failure after failure. Throughout all this Sandy assured me that deep down in my true self I understood why this was happening in my life and I would become aware as I went through the healing process. That awareness, coming awake, followed and was a driving force for me to practice the techniques that Sandy taught me, allowing me with ease to control my thought patterns. Emotions became more manageable as did my desires. Day after day, miracle after miracle and now, today I AM perfect emotional health. So tomorrow, I can be anything of my own choosing. Sandy you are Love. Your goal is most important and your encouragement rings true. To the reader; what an opportunity you now have, I am very excited. You will have every problem simplified in a way that you can literally accept it. No matter the reason you are here, or the hardship you are experiencing or how painful you are thinking your life is; all will just dissolve so you never have to experience it again. I am excited because what comes next is a life of your choosing. I am encouraged sister/brother because you will be encouraged. 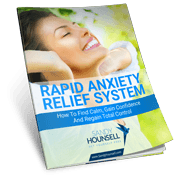 Working through Sandy’s Anxiety Free Forever program has enhanced my life. I met Sandy and declared myself to be in the deepest rut of my life. What glorious timing, because she replied, “well, that’s why I’m here!” So we started my journey together and I have had a deep soul transformation. I have been able to work specifically on detangling myself from past beliefs that hindered me, ridding my inner world of negative and fear based reactions, & stopping the struggles with issues from decades past. I have found the peace and calm and momentum to create my future connected to my Soul centre, my true self. Now I can think about me. I was happy before but now I feel joyous. I was capable before but now I feel empowered. Sandy, I wish to thank you for providing the safe place I needed as I took the journey through the dark until I reached my light. The way, she deals with anxiety symptoms is really awesome. After that, his dead became a beautiful , warm and a happy event. For that, and many more things, I´ll always be grateful. The fantastic with you is that you have all those great skills of yours and also are a warm an understanding person with lots of love to give, you can see straight thru a person. I didn`t feel uncomfortable with that instead it felt as a major realise. All that makes you to a terapeut who can work with people in a holistic way, the toolbox of yours is huge!! The crystal healing worked very well on me and I felt very boosted after those sessions. I felt very safe and trustful of life to meet a person so connected with the spiritual world. Without words you could see and feel people/family close to me living in Sweden and exactly tells things you would`t bee able to say anything about if you weren`t totally clarivoyant. It`s amazing! I believe That all people got a task to caught when arriving to earth. Some got a very special and important job to do by helping people and the evolution to get more connected to spirit and to the Creator, to put people in balance with them self so they can fulfill their task and reach their lifeline. You do a very , very important job and you do it so well with great love and compassion for all living and of course death! I`m happy and feel honoured to have met you and I`ll hope We`ll meet again! Thanks again for all you’ve done for me and my whole family!